The Nilayoram Resort is built and located in Kerala at Trissur. Are you looking for details of Nilayoram Resort hotel? Read here about facilities, Tariff Plans, attraction point, tourist activities and contact address of Nilayoram Resort which is one of the best hotel in Kerala. The Nilayoram Resort is one of the greatest and high quality hotel in Kerala which is located about 34 KM north of cultural Capital Trissur and 4 KM away from Kerala Kalmandalam, Cheruthuruthy. Nilayoram is set on a two acre site right at the bank of the heritage enriched Bharathapuzha with vast expenses of a lustrous greenery in sylvan surroundings. Yoga practices are also available with renowned yoga masters. The curriculum includes with the study of Path Anjali Yogasuthra and systematic training of yogasanas, Kriyas, pranayama is the relaxation courses offered. Nilayoram resorts and Ayurveda centre serves a proud tribute to the living tradition of Ayurveda. On the whole people visiting Nilayoram will surely enjoy the peace and relaxation which is Guaranteed in Nilayoram. The Nilayoram Resort is mostly liked by many people and it is fully furnished with great values. An interior and exterior are good enough. Here in Nilayoram Resort that we can have an Ayurveda therapy in lake view dining room for families who can chat over there and enjoy for whole night. The Nilayoram Resort is mostly liked by Honeymooners. Car Hiring is also available for guest to visit some tourist spots around the Nilayoram Resort Doctor-on-call facility also available for guests. Currency exchange is also available in Nilayoram Resort. The Tariff plans are starts from Rs.10000-15000 and all rooms are furnished with both A/C and Non A/c Rooms. An Antique decorated room gives us immense pleasure to relax. Persons above 12 years are considered to be adult and full tariff rate is applicable. Refreshing Ayurveda treatments and Yogasanas is also taken here, so come and enjoy the breeze of natures beauty once. The Nilayoram Resort is got with its natural beauty over the lake and the views are fascinating for everyone who wants to admire Kerala. Here Many facilities are available for guests with moderate cost and guest can experience a pleasure full atmosphere overall in the Nilayoram Resort. Overall the views captured here are most memorable and can able to hide it from others. Here they arrange a visit to Guruvayur temple and many tourist spots and The Nilayoram Resort is also called as Honeymooners Spot and people will surely like this place if they visit. The atmosphere is overall tends every people to come again and again without fail and they are not able to leave the place that much easily. Here there is an Elephant Yard At Guruvayur Zoo or Trissur which is the most fascinating view with animals and view of lake, there we can trekking in the Sholyur wildlife sanctuary, Bamboo Rafting, Border Hiking and more activities are available in the Nilayoram Resort. Elephant rides which is mostly liked by peoples and it is available inside the sanctuary. Jungle patrol which means night time trekking of 3 hours and which gives immense peaceful atmosphere. Evening time, you can visit to Malampuzha dam and more. Windy walk and clouds walk also activities which are mostly welcomed by many. Shopping is also available to get natural spices and minor forest produce. Are you searching about Kayaloram Lake Resort in Kerala? 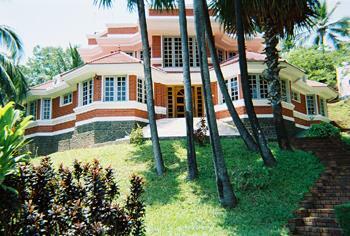 Kayaloram Lake Resort is one of the famous resorts in Kerala which is located in Cochin. Read here about tariff Plans, facilities and Contact Address of Kayaloram Lake Resort.